BBC: Last year saw a sharp rise in fatalities from air crashes compared with 2017 but 2018 was still the ninth safest year on record, figures show. Airliner accidents killed 556 people last year compared with 44 in 2017, the Aviation Safety Network (ASN) reports. Last year’s worst civilian accident was in October when a Lion Air plane crashed in Indonesia, killing 189. 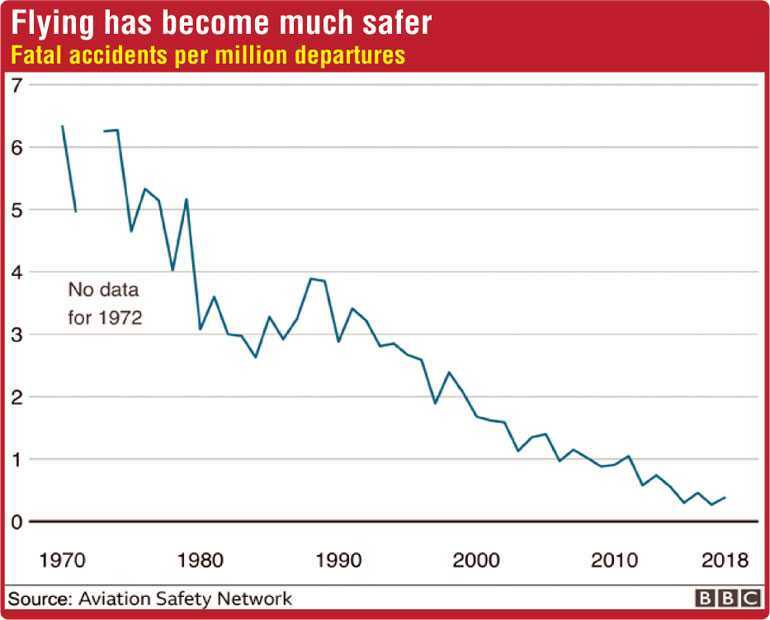 The year 2017 was the safest in history for commercial airlines with no passenger jet crashes recorded. A plane crashed shortly after taking off from Cuba’s main airport in Havana in May, killing 112 people. An investigation was launched into the cause of the crash. Fifty-one people died when a plane crashed on landing at Nepal’s Kathmandu airport in March. However, the picture has been improving generally over the past 20 years. “If the accident rate had remained the same as 10 years ago there would have been 39 fatal accidents last year,” ASN CEO Harro Ranter said. 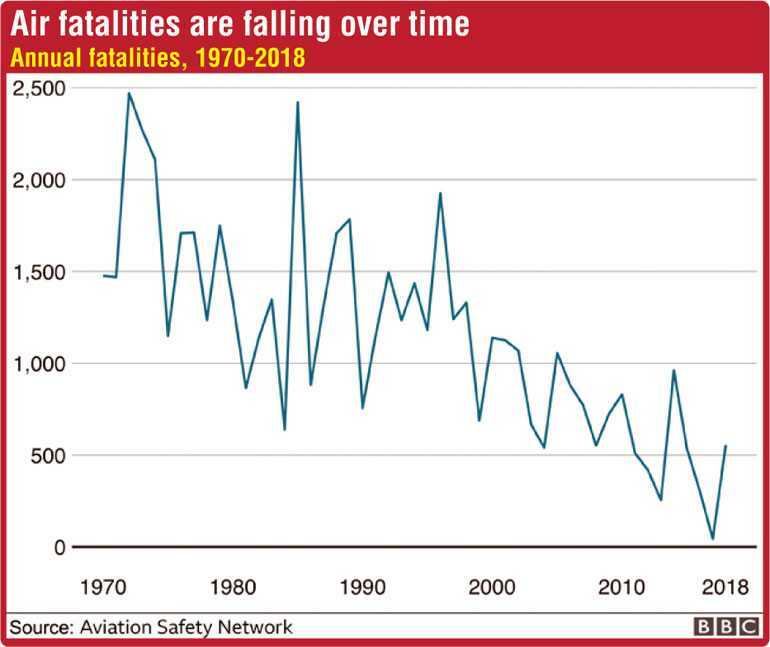 But ASN said what it terms loss-of-control (LOC) accidents were a major safety concern for the aviation industry as these accounted for at least 10 of the worst 25 accidents in the past five years. LOC refers to an unrecoverable deviation from an intended flight path, and can be caused by mechanical failure, human actions or environmental disturbances. Most of those accidents were not survivable, says the ASN.